Just before my wife and I got married we made a pact that our TV watching would be alternating shows that we like and introducing each other to our favorites through the magic of things like DVDs, Netflix and Amazon Prime. 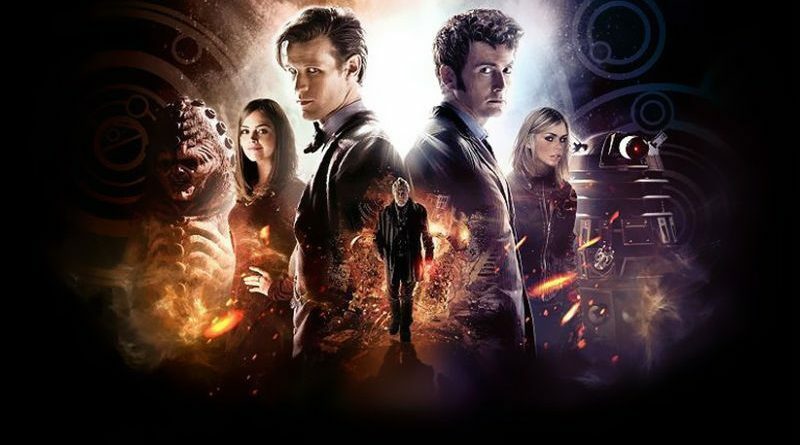 Like a gentleman, I let my wife go first and her first pick was a recently rebooted BBC series called Doctor Who. Boy did I fall in love with this show. I love that it’s family friendly. I can’t not love the Doctor, especially the Tennant and Smith regenerations. I love The TARDIS (which, you may have noticed, is bigger on the inside). I love being connected to fascinating, exceptionally developed characters whose British accents make me irrationally giddy. I love the opening music. I love the plots twists that feel like stomach punches…the ones that hurt and the ones that just blow your mind. To be honest, I thought the first few episodes were hokey, but once I got past about the first six and the farting aliens, I was hooked. Season 2 really takes off. 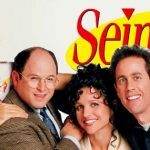 By Season 4 I was comparing this show to the Seinfeld version of the science-fiction genre. That’s how good it gets sometimes. One final thing that I adore about this show is its amazing versatility. I’m a fan of how one episode will be a war on another planet between humans and invented creatures and then next will be a whodunit with a giant wasp, that one episode will be in 1913 England and the next in some other galaxy in the year 4126. Also, I don’t just get science-fiction time travel and highly imaginative fantasy but also superb comedy, riveting romantic drama, and unpredictable action-adventure. This show is exploding with personality, invests me in even the minor characters and episode-to-episode changes genres on a dime. It is why I keep watching. But there is another genre that they execute extraordinarily well: suspense and horror. They do it without gore, but instead by scaring you the old fashioned way: with great story telling and terrifying monster villains. 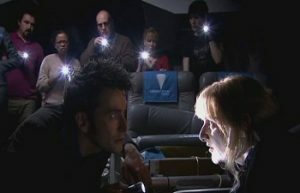 Since my wife and I like to be scared but not grossed out, watching some of Doctor Who for Halloween is a perfect match. Today we discuss five of the episodes we are watching. This was like something out of Alfred Hitchcock. It stars a kid with a gas mask. So spooky. So creepy. So good. “Mummy? Are you my mummy?” The supporting cast includes adults with masks who appear dead–until they sit up in their beds. Chill bumps!! That is scary. You can have your ghosts and boogeymen and vampires and werewolves and chainsaws. 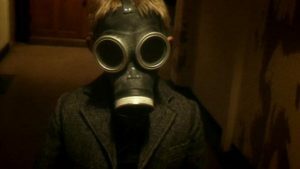 I’ll take the frightening unknown of a mysterious child with a gas mask every time. Nancy was a great character. I wish she could have been recurring one. I didn’t really like the Rose and Captain Jack side plot very much because I wanted more of the Empty Child’s story and more Nancy. Their story feels like a Halloween story. It is absolutely perfect for this time of year. So much terror in this one. It features my personal favorite fictional species: the Ood. With their Admiral Ackbar-type appearance and robotic way of speaking, the Ood get your attention. 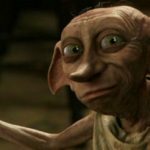 They start out so docile and servant-minded, like house elves in Harry Potter…and then turn murderous under the Beast’s control. The scene where they stand in formation with their reading at Basic 30, before chanting “YOU WILL WORSHIP HIM” is horror at its foreshadowing finest. 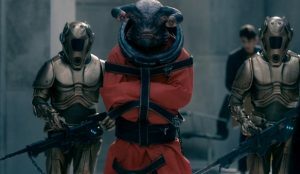 (Their return in Series four’s “Planet of the Ood” is almost as good because it features more them, their background, and extreme changes in behavior. The Ood: “Let me serve you…before I fry your face and kill you…”) The Ood have given me more nightmares than anything else on DW. But the Ood are the sideshow in this scarefest. The Beast is the true antagonist. The way he possesses Toby, coming from behind (“Toby…Don’t turn around. Don’t look at me. If you look at me you will die…”) is about as terrifying a situation as can be. 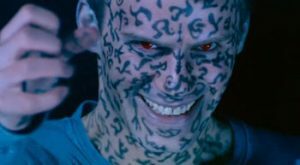 The image of Toby’s face after being possessed, with those markings and red eyes and demonic smile is something I will never be able to get out of my memory. The climactic scene is the Doctor at his clever best. But the scares come earlier. And they come fast and frightening. I loved it. Every second. First, it had time plot elements that had my head spinning, but the main plot and acting and everything else was so good, I didn’t mind being overwhelmed and confused. It was overwhelming and confusing in the best way possible. The Doctor doing the video knowing what Sally would say from 40 years in the future was awesome, even though I will never get how it works. I don’t understand how time is “wibbly wobbly” and the similarities to the time turner in Harry Potter and The Prisoner of Azkaban when Sally ‘starts’ the events of the episode at the very end of the episode could not be missed. But TV is different than reading. When I read, I am interacting much more intellectually. I can pause and think and reread. TV isn’t like that. It’s more emotional and reactive for me. So the fact that my brain got turned upside down by the “rules” of time (especially it not being linear) did not bother me. I was just sucked in along for the ride. I loved Sally Sparrow. She was real and sympathetic and smart. Well casted. Well written. I loved the mysterious puzzle-like approach and unraveling. It starts unlike any other episode and from second one you know you are in for a piece by piece revealing. I was literally on the edge of my seat and trying not to figure it out as not to ruin it, and there is no way I could ever have figured it out. 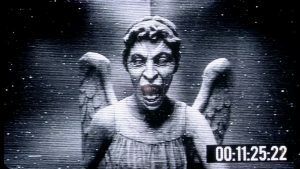 The Weeping Angels were epic. Just epic. Spooky. Subtle yet terrifying. The way they “attack” is about as bone-chilling as anything. I loved the story of the guy who got sent back and then got to see the ‘hot girl’ the day he died. It was sad and endearing. Just a great touch. This episode, at least as of last December, had the highest rating among fans votes on IMDB.com, a 9.8 out of 10 rating. Every Doctor fan I know rates this one high. I was blown away by this 45 minutes. It was absolutely perfectly done. An immaculate mixture of terror and suspense. The only thing I don’t like is that I can’t watch it again and not know how it ends. If the Empty Child episode was Hitchcockian, this was very M. Night Shyamalan, when he is at his best. The movie “Devil” was like 6 people, freaked out by something unknown and unseen yet obviously evil, and took place almost entirely trapped in an elevator1. This was like that. The whole thing took place as one long scene, one long conversation – but the pacing and intensity were so captivating the episode flies by. It was like the horror version of Seinfeld’s comedy in the Chinese Restaurant. TV relies too much on breaks and scene changes because of short attention spans. This blew that lazy trick out of the water. The dialogue will haunt my dreams for weeks. The way they turned on the Doctor to kill him so quickly, the way the conversation never stops but they don’t talk over each other, impeccable timing of the lines delievered …the writing deserves some kind of medal. The actors were like Oscar and Wallace from the Office and Hurley form LOST in that I almost could believe they were real people who got dropped into this and did not know it was fiction. Jethro unnerved me. Biff creeped me out to the max. Yet the unnamed bus hostess may have been the freakiest of all. The reactions of the people were so real to life; they were scared out of their minds the point of irrational boldness. Just like unreasoning animals fighting for survival. Outstanding acting. The doctor was completely out of control and had no idea what to do. This almost never happens. He was trying the most basic, rudimentary things, like a child would and his cleverness was useless and his leadership was humbled, not only by the mutiny against him but by the way it ended. Probably the most petrifying subplot is the way Sky repeats everyone’s words, then is right on the timing of what they were saying, then to being ahead of the Doctor’s speech. Like something from the Twilight Zone. It have more chill bumps just thinking about it. Since I was 16 I have firmly believed that the noise in the dark is scarier than what makes it. Almost every time. Good horror or terror or suspense comes (to me) from tipping your hand slightly but not showing it, or waiting til the last second to show it2. The unknown truly frightens people. This was the best execution of that I think I have ever seen. They did not ever truly show us what was there. I think I like this one more than “Blink”. That may not be popular opinion but it’s how I feel. This one qualifies more as thriller than horror but its breakneck pace, series of do-or-die consequences and magical plot twists earn it its spot on this list to me. The Capaldi version of The Doctor was taking time to grow on me, and this episode catapulted him into the “This guy really is the Doctor” stratosphere. I have to confess: I love the “People waking up in a room with complete strangers and short term amnesia put there by someone unknown and to accomplish some goal with cryptically given instructions” trope3. There is something psychologically torturous about it that entertains me in a disturbed way (I may have issues). 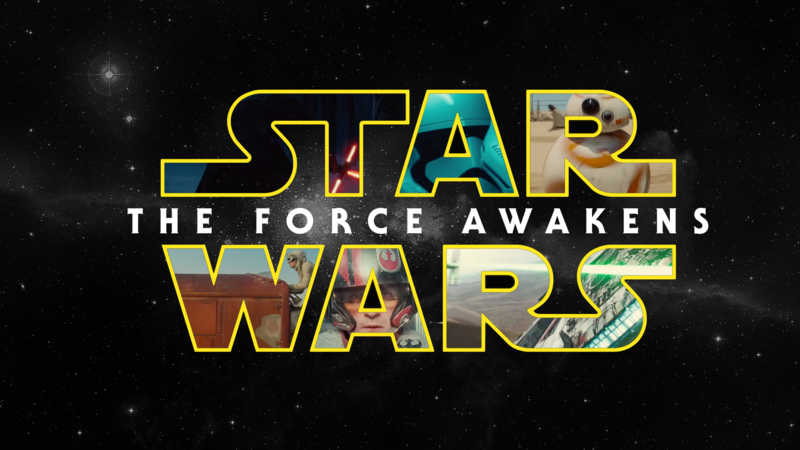 Regardless, from the first 3 minutes I knew this was going to be good. They seem up against impossible odds, which always adds to the psychological warfare. But they are all there for a reason and finding out those reasons is part of what makes the journey such great TV. And The Teller. Wow. Bless the minds of the creators of this show for never ever ceasing to amaze me with what they come up with for monsters and villains. You could run a legit 16 entry tournament on “Scariest/Freakiest Doctor Who antagonist” easily. The Teller would be a high seed to me. The twists and turns and piece by piece unraveling (similar to “Blink” but quite different in important ways) are on par with the other entries here. It offers uber-intensity from start to finish and has one of the most satisfying conclusions of the series to me. So there it is. There’s the list. Since I wanted to make this an REO 5 to keep it from being long, I’ll add that my wife and I also have watched “The Planet of the Ood,” and “Human Nature/The Family of Blood” and if space permitted I would write about those as well. 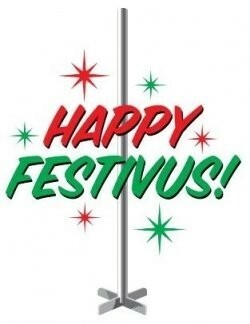 Maybe next year! Happy Halloween from the Rambling Ever On staff! !